space In the next feature of a local band and/or album I chose the one that might end up being the most successful bands of the area. 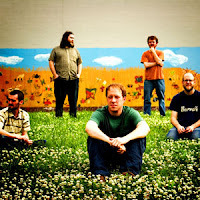 Minus Story are originally from Boonville, Mo but have been adopted by Lawrence, KS. I have mentioned them before here when they opened for Midlake at the Jackpot and here when they were my #43 on my Best 50 Albums of '07 list. I have to admit, this is another band I am pretty late on. 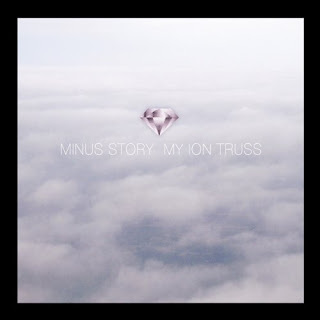 Last year's My Ion Truss is the only album of theirs I own so far but I am planning on checking the previous stuff out. It's their 3rd full length album for the label Jagjaguwar on which they are a member of a pretty impressive roster including Black Mountain, Sunset Rubdown, Okkervil River, Bon Iver, Pink Mountaintops, The Besnard Lakes, Swan Lake, Wilderness and more. "Having a producer behind the controls for the first time allowed them to work more collectively as a band, giving them the freedom to record the primary tracks completely live. It is the closest thing to Minus Story's cathartic live show that they've put to tape to date. The result is an epic & anthemic cross between Pearl Jam, Queen, Brian Eno, and Roxy Music."